Internet journalism could be the ideal public forum. Anybody with a computer can write, read, or comment on what is written. Disqus.com now captures commentary, authors, and content links. The feedback loops on the internet make print journalism, in contrast, look like a one-way mirror. Conventional journalists write, you read. Problem? Write the editor where most letters/commentary gets tossed in the circular file. All literature should be a conversation of sorts. With the internet, critical readers and real-time feedback, over time, should make for better writers. Maybe even better ideas. Of course, the democratization of essaying is not without hazard. You have a regular opportunity to make a fool out of yourself in public. Indeed on an off day, you might even read like the NY Times. Rolling Stone, or the Washington Post. Alas, the internet is also a bit like your school report card, or your rap sheet, a matter of permanent record. Then there are trolls! Loosely defined, a troll is a reader who surfs the web looking for an argument. Their commentary is often, but not always, abrasive, rude, and hostile. Comments, like content, usually have editors to screen the obvious abuses. Sometimes the commentary is simply arbitrary. Nonetheless, objection to a single word might spawn a comment thread or a fusillade of like-minded vitriol. “Islamism” is one of those words. Words matter. Alas, neologisms come into the language all the time, especially when the drama index is high. Ironically, polemicists on the Right and Left abhor words like Islamism. Liberals think the word unfairly links radicals or terrorists with religion. Some on the Left, team Obama for example, would have you believe that mayhem in Mohamed’s name has nothing to do with Islam, a little like claiming that the Crusades were sponsored by Rotarians. The thought police at the White House, at CIA, and even at the Associated Press have stricken words like Islamism from their vocabularies by fiat. The Left, traditionally believes that candor, or the action that truth might require, will make a problem worse. Appeasement is an honored liberal idiom. Conservatives, on the other hand, suspect the “ism” is a hedge, a reluctance to call a spade a spade. Some on the Right would have you believe that Islam and its adherents are coherent; a kind of terror, rhetoric, and religious monolith. Here ends are confused with means. The objective of imperial Islam may be monoculture. Yet, with 1.5 billion followers, realities will always be at odds with utopian dreams. The Shia/Sunni schism, for example, has plagued the Ummah for 1300 years. To suggest that all Muslims are militant radicals, or terrorists, is a little like confusing the bulls with the dairy cows. Islamism, as opposed to Islam, suggests movement and militancy. You might think of Islamists as Muslim crusaders. Such distinctions are self-evident when militants are parsed from the so-called “moderate” majority. That majority in turn are happy to be separated from the swords, shooters, and beards. Unfortunately, these asserted distinctions do nothing to moderate the menace. If only ten percent of Muslims (150 million) are militant, then the threat is substantial by any measure. Neologisms are born when ordinary language fails to capture a phenomenon or an idea. Terms like Islamism and “Islamofascism” fill a void of meaning. Yes, the majority are not terrorists. They are worse! Passive aggressors, not moderates, might be a better description for most of the silent Muslim majority. How many Russians were Communists and how many Germans were Nazis in the beginning? The numbers never have to be large. Militancy and terror are usually a minority and minorities still prevail. A kinetic vanguard can always depend on the silence and apathy of majorities. The Islamist menace is no different today. Indeed, the propagandists and the swords are the lesser of two evils. We know what they believe, what they fight for, and we see what they do on a daily basis. Militants make no secret of their religious motivation. Whatever the number of radicals, they will never be as numerous, or as guilty, as the larger Ummah which is routinely disingenuous, routinely apathetic, routinely absolved, routinely hypocritical, and routinely given a pass on accountability. Most Americans and Europeans believe that most Muslims are innocents. How is this different than what most Muslims believe? Sadly, the great crimes of any century are more a function of apathy and appeasement, and less a product of militancy. Apathy and denial about the Islamism problem is as much a problem in the West as it is in the East. A malignant force, once set in motion, tends to stay in motion unless confronted by an equal or superior force (hat tip to Isaac). The real strength of Islamists is the apathy of 59 Muslim nations worldwide, a sixth of the world’s population. Islamofascism is an Ummah community problem. The progressive West cannot save the Islamic East from itself. Calling Islamists criminals, militants, radicals, fundamentalists, or even terrorists might be necessary but not sufficient. These are half-truths, euphemisms at best. Proselytizers, apologists, and jihadists must be linked precisely, directly, and routinely to the ideology, communities, and culture of origin. That culture is Islam! Culture is the primary culprit midst James Clapper’s “nefarious” characters. The necessity to distinguish militants from moderates is not trivial. The so-called moderate is the more difficult problem, demographically and ideologically. Islamism is in the end a philosophical, political, religious, now kinetic, quest to reverse the vector of Emanuel Kant’s optimism. There is more than a little history to support irredentist culture. And the passage of time is not progress. Dark ages are still possible. The vector of history moves forward – or backwards. Contemporary Islamism is a very large sanguinary bet on door number two, the recidivist option. And yes, Islamists claim that their aggression is actually defense, a victim’s posture. Let’s allow that historical delusion. Muslim scholars and clerics have been looking to the past in search of the future for centuries. Recidivism, yea political immaturity, is the fatal flaw of all utopians, especially fascists. Unfortunately, the predicate of all fascism, religious or secular, is coercion. ISIS and Abu Bakr al-Baghdadi are the logical products of Islamism unchallenged. There is no question that imperial Islam will fail – implode or be defeated. The question is how much masochism, denial, and damage the Ummah and the civilized world will endure before that day arrives. Over the years regime change projects have taken some bizarre twists and turns. The cast of characters working for Washington in the Obama era is often something off a B movie script. Now we see actors and studio suits at RAND Corporation coaching global political strategy! Alas, the latest Left Coast plan for North Korea just blew up on the launch pad. The collateral damage is most obvious in Hollywood at Sony Pictures, at Fox, and in Santa Monica at the RAND’s global headquarters. Alas, the Pyongyang putsch was thwarted by D-list hackers. Kim Jung-Un is one of those dyspeptic pot-bellied Third World plutocrats with nuclear ambitions – and the chutzpah to use cyber strikes preemptively. The “Supreme Leader” of Asian dystopia has burned Barack Obama’s national security Keystone Cops – again. Ironically, the digital sneak attack precedent, the cyber strike, was set by team Obama with STUXNET in Iran. The Beltway brigades should be accustomed to the smell of blowback these days. Thus North Korea becomes another loss leader on a long list of foreign policy boners. You could say that regime change debacles in Libya, Afghanistan, Iraq, Egypt, Syria, Ukraine, and Russia were offensive failures. But like the Arab air raid against New York, the successful strike against California by North Korean operatives is another defensive failure. No offense, or defense, means no game in any political league. You might think that with all the cash thrown at the National Security Agency (NSA), the Pentagon, and RAND since 9/11 that there would have been a zone sanitaire to protect the vitals of commercial cutouts like Hollywood film studios. Indeed, Sony mandarin Michael Lynton is wired. He sits on the RAND Corporation Board. Lynton commiserates regularly with defense strategists like Bruce Bennett, Santa Monica’s most vocal advocate of regime change by assassination. RAND has recently taken to hosting symposiums about film and politics out in Santa Monica. The girls on the The View could connect those dots. RAND doesn’t fund squat without a sponsor. Withal, who might be using who in the Hollywood/Santa Monica/Washington triangle? Is Hollywood a naïve victim or just another hapless Obama era co-conspirator? The virtual script for the Interview may have been written at Sony. The real world scheme, hidden agenda if you will, for toppling Kim may have been hatched in Santa Monica. Doctor Strangelove rides again! There was a time when film studios mocked strategic forums like RAND. Under Obama, Hollywood seems to have developed an unnatural liaison with the mother of think tanks. Is RAND and the studios turning tricks for the CIA or the DOD? Daniel Ellsberg, former RAND analyst, might have to come out of retirement for this one. The strong suites at RAND are national security and social science research (yes, Obamacare). Beyond geography, RAND doesn’t appear to have much in common with the entertainment industry. RAND doesn’t usually host security seminars for free either. If the Sony propaganda flic was sponsored PSYOPS (psychological operations), the studio is not likely to eat the production costs of the Interview. Someone needs to do the math, then follow the cash! Oh snap! Non-profits like RAND do not have to discuss, disclose, or publish the intimate details of their projects, advice to the government, or corporate finances. There seem to be two schools of thought on the Pyongyang hack attack and Hollywood’s unconditional surrender. One school seems to believe that the worst could never be enough for the Media moguls of Los Angles. Another school of thought believes that the Supreme Leader of North Korea has scored a direct hit on artistic freedom. In fact neither argument survives the sunshine test. If and when the Interview is released, it will be the beneficiary of the best state-sponsored PR stunt in history. Indeed, the most famous suppressed flic of the new century. The Interview might also become the most profitable B-movie on record – or the first piece of mediocre art to start a nuclear war. In any case, the artistic freedom or free speech lament is a crock. Where was Hollywood when Satanic Verses was suppressed? Where was the Hollywood Left when Salman Rushdie received a death sentence from Islam for writing a book about pernicious religion? 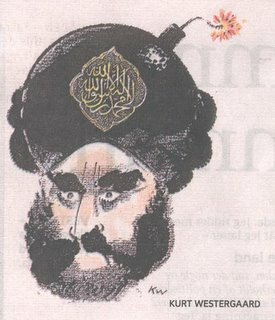 When did the Hollywood /Washington axis defend a Danish cartoonist’s right to mock Mohammed, Muslims, and terrorism? And finally, where was Hillary Clinton, Barack Obama and their Hollywood bag men when an amateur filmmaker was vilified, prosecuted, and imprisoned for making a video that mocked Muslim misogyny and Mohammed’s pedophilia? Where in all of this is the difference between secular and religious fascism? On balance, the Washington/Pyeongyang brouhaha is now another standoff. Like the Crimea, Hollywood is already gone. And what Henry said about Putin, surely applies to Kim Jung-Un, demonization and name calling is not policy. Your move Mister President! The author is a former Senior USAF Intelligence Research Fellow at RAND Corporation, Santa Monica. You are currently browsing the G. Murphy Donovan's Blog blog archives for December, 2014.